F.I.S.H. 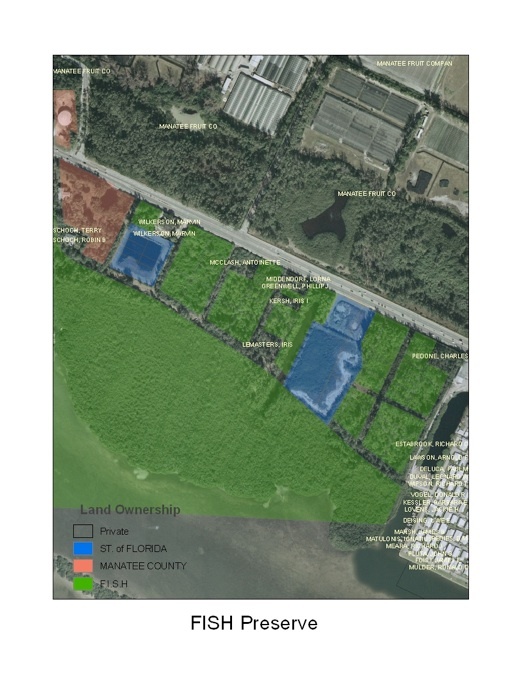 is still working to raise funds for the purchase of several parcels within the Preserve’s boundaries that remain in private hands. At least four small parcels remain to be purchased. In the map below the shaded areas remained in private hands when the larger Schewe property was purchased. Since 2005 the properties labeled ‘Wilkerson’, ‘Kirsch’ and ‘Middendorf’ have been added to the Preserve. The other shaded areas that appear to be paths are rights of way that have been “vacated”. 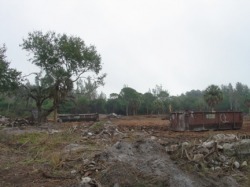 Part of the ongoing success has been the purchase of the only built residence within the Preserve’s boundaries. Built in the 1950s the building still needs a lot of work so that it can be put to better uses than as a “crack house” as it was for a few sad years. It is temporarily being used as an annex for the F.I.S.H. Boatworks Skills Preservation program but ultimately we hope that it will be opened as a base for a local Wildlife Rehabilitation center. While the building is stable funds are badly needed to move this project along. In addition, through its many projects and association with Waterfronts Florida, Florida Communities Trust, and Florida Humanities Council, FISH is forming a multi-staged plan to address waterfront redevelopment issues for other Gulf Coast communities. With its continued success, F.I.S.H. is providing not only educational opportunities for Central Southwest Florida, including academic institutions, but also offers a community service to Cortez and Manatee County that will have significance for other coastal communities in Florida. This great potential success story has not yet reached its happy conclusion and we are looking for friends who want to help write the final chapter. Make that happy ending complete and make this grassroots success a part of your life’s story. There are additional small parcels of land within the boundaries of the Preserve that remain to be bought. The Burton Store needs funds to complete its restoration/renovation. We are seeking grant opportunities and assistance in funding for all of these projects, and more. 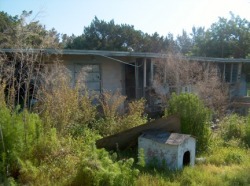 Volunteers are needed to help educate the public and promote the project, as well as to clear and clean up the property.